Soak the rice in water for 7 hrs or overnight. Grind the soaked tice with the cooked rice and grated tender coconut to make a smooth batter. While grinding add little by little water to make a smooth batter..make sure it wont get watery. Add yeast, salt and sugar and ferment overnight. Next day mix well the batter and take a bottom greased pan and pour the batter till half. On the top add cashew, raisins or dates...here i added dates...and steam it for 15-20 minutes on a medium flame till done. 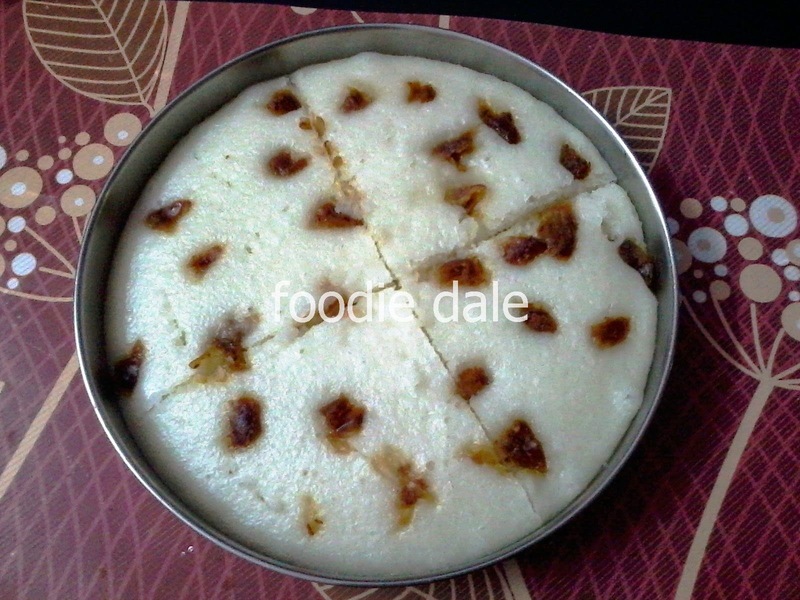 Cut the vattayappam when its cooled and serve n enjoy!! !